At the Piatchek Law Firm, our attorneys are familiar with publication divorce, which is the process of divorcing by publishing notice in the local newspaper. This method of divorce can be very tricky, and there are rules associated with how it must be done. It is only advisable to attempt this method though the services of an attorney who is very familiar it. Additionally, this method should only be used if you have diligently attempted to locate your spouse, and you truly cannot find them. You should never publish a divorce when you have not truly, honestly made a good faith effort to locate your spouse. In addition, you should never use publication divorce simply because you don’t feel like seeing your spouse or talking to him/her. I separated from my spouse years ago, and now I don’t know where he/she lives. How can I get a divorce? A divorce by publication is an alternative to a standard divorce or an uncontested divorce. Rather than both parties cooperating, such as in an uncontested divorce, a divorce by publication is used when the person you are trying to divorce cannot be found or located. So rather than have them cooperatively sign papers (as in a cooperative/uncontested divorce) or serve divorce papers on them (as in a contested divorce), the party petitioning for a divorce is required instead to insert a legal notice in a local publication multiple times, informing the public of the divorce. This type of divorce should only be used when you have made good faith attempts to find the person, and you simply cannot locate them. A divorce by publication should not be used when you can locate the person or you do know where they are, but you simply do not want to talk to them. 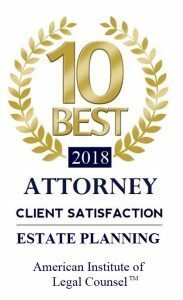 Understand also that child custody issues and property division issues present special difficulties in a divorce by publication and may not be possible in all cases. Divorce by publication cases are typically for those who have no marital property or children. Do I Need an Attorney for a Publication Divorce? There are many laws involved in properly handling a divorce by publication. All of the formalities of a typical divorce process must be followed. In addition, there are multiple other rules that must be followed to finalize your case through publication in the paper. Quite frankly, for someone who has never completed this process before, there are many ways to make a mistake and fail to complete the divorce. The only way to make sure that this process is handled properly is to hire an attorney experienced in divorces by publication. We have found that most clients who attempt to handle their own case make mistakes that cost them time and money. In addition, court appearances will eventually be required, which will give the person even more chances to make mistakes. All in all, many clients who attempt to do this fail, and the handful that do eventually succeed often spend a lot more time and money on the divorce than they would have spent hiring an attorney. If you have any questions about publication divorce or want to set an appointment, call us anytime at 417-882-5858 to get started.